There are men in the world who show us on national TV what not to do, such as the latest Bachelor, Juan Pablo, and then there are men, even fictional men, we can learn from. In a recent Facebook discussion, I asked: What fictional character, either in literature or movies, do you feel best embodies the idea of a “true gentleman”? There were some fantastic answers, and a couple of votes for James Bond, including my own. Now, a disclaimer: Some women claim Bond is a womanizer and therefore doesn’t qualify as a gentleman. While I have no interest in defending a fictional character’s…character, I believe for the sake of this article it is important to note that Bond’s profession, along with the unfortunate circumstances most of his love interests face at the hands of a villain, it is nearly impossible for Bond to find himself in a monogamous relationship. Furthermore, he does display emotion towards women he is with, and if they meet an untimely end to life, his mission becomes personal in avenging her. This shows he has depth and is capable of love. But, enough defending. What do I think we can learn from 007? To remain calm in all situations. I believe, when called for (especially in relationships) emotions are perfectly acceptable for men to show, and even healthy. It is a common inaccuracy that showing emotion is a sign of weakness, but in reality it takes more strength to allow your feelings to be shown to others, rather than hiding them away. 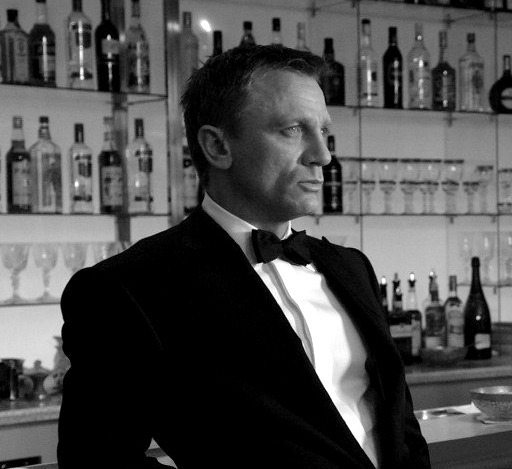 However, if you observe Bond you will notice how he keeps his composure during conflicts or tense discussions. This is a skill we can all learn and benefit from in all areas of life. Thomas Jefferson said: ”Nothing gives one person so much advantage over another as to remain always cool and unruffled under all circumstances.” And how true it is – when in a business setting or during an argument, the first person who lets their emotions overtake them automatically loses. This is especially true in relationships, if we lose our temper and lash out at our partner during a disagreement, there is no good ending. The importance of showing compassion. While Bond can be ice cold, as part of his job – he also often shows us that it’s okay to lend that strength to others and share in their pain during a time of need. Part of being a well-rounded man and building healthy relationships is being supportive of others. This includes friends, family, and a partner in a relationship. If the person you’re with doesn’t feel as though they can talk to you about their problems or concerns, your overall communication will fail and take the rest of your relationship with it. The importance of staying fit. While not every Bond has been quite as ripped as Daniel Craig, Craig makes it easy to see that the best thing you can do for your personal style, is to get in shape. Everything from t-shirts to tailored tuxedos look exponentially better when fitted to an active body. Not only is fitness aesthetically better, but when we look better, we feel better. And when we feel better, we have more confidence in ourselves. One can easily see how this pattern will afford us the motivation to continue improving in life and going after what we want. While confidence should not solely be based on our looks (for men or women), the physiological changes that occur in our bodies, as well as how much better we feel when we look good, have unarguable positive results. No, we certainly shouldn’t be getting into fights. It shows a lack of ability to solve problems through civilized discussion and the need to resort to violence and force to get a point across. In reality, all this does is cause more issues and is rarely (never) actually effective. However, as a former martial arts instructor myself – I am aware that the first thing you are taught when learning to fight, is not to fight. Self-control, awareness of self and environment, and confidence are positive “side-effects” and byproducts of learning these art forms. Plus, the reality of the world is that there may come a time when we are forced to protect ourselves or a loved one, and the ability to do so will be invaluable. While Bond is notorious for sporting the latest technology, the most fantastically exotic cars, and the most impossibly-tailored tuxedos, he has repeatedly destroyed them all for the sake of helping someone in need. Bond understands that things can be replaced, but people cannot. People may feel that he simply doesn’t appreciate the things he is privileged to have because of how disposable they are to them, but I would argue that when seen in the context of sacrifice for the sake of a person or relationship, the act becomes more meaningful than just crashing a nice car. Bond has his flaws, but don’t we all? He comes from a mysterious past, but rather than being born into nobility and taking credit for it, Bond has improved and refined himself into an iconic figure for men everywhere. This, in my opinion, is far nobler than simple genetic fortune. What are some other characters we can take lessons from? I totally agree with every point here. Sadly, not many women look at a man who shows emotion as a very “stable” one. I guess not many know how easy it is to hide behind a wall, rather than taking armour down in anticipation of being speared in the heart!